Strangelette has gotten the metronome ticking for their 2nd installment of the Epic Fantasy Soundtracks Kickstarter. They're already over their goal, so it's stretch goals for the next 26 days. 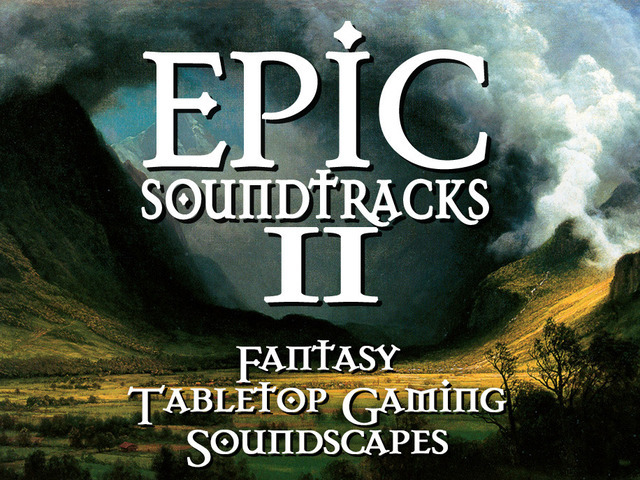 Epic Soundtracks II is my new collection of tabletop gaming soundscapes, sound effects and songs to set the mood and inspire creative gaming sessions for fantasy themed games like Pathfinder, Dungeons & Dragons, Game of Thrones, Call of Cthulhu or miniatures games like Warhammer, Warmachine, Descent, Malifaux etc. (no endorsement implied, these are just examples of games that might be aurally enhanced by this project).